The Basketball Committee of Division I of the NCAA classified Duke as the No. 1 favorite in their initial tournament rankings over the weekend. Voters in the Top 25 of AP remained with Tennessee as their best team. 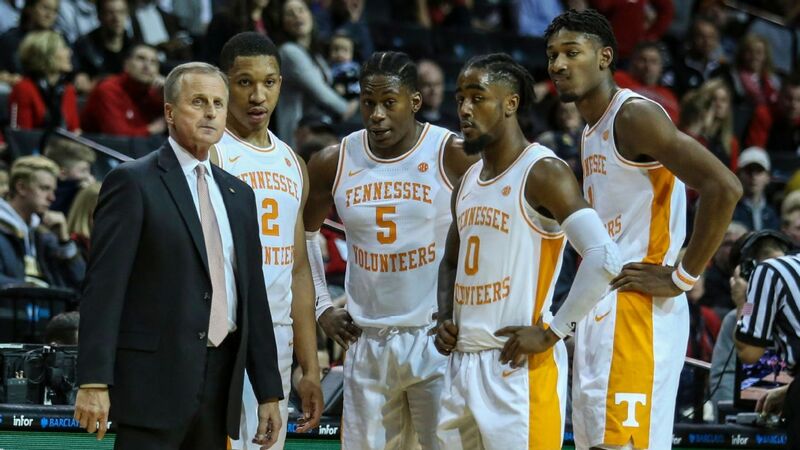 The Vols received 40 of 64 first-place votes from a media panel in the poll published on Monday, staying ahead of Duke for the fourth consecutive week. The No. 2 Blue Devils had 24 first-place votes. Number 3 Gonzaga and No. 4 Virginia, the other top seeds in the NCAA's initial standings on Saturday, completed the top five with Kentucky. Tennessee (22-1, 10-0 SEC) was ranked number 1 in the AP poll after Duke (21-2, 9-1 ACC) lost to Syracuse on January 14. The Vols continued to win, extending their school record streak to 18 games with victories over Missouri and Florida last week. The chairman of the committee, Bernard Muir, said the decision for the first general seed was close, but the Blue Devils beat the Vols based on the strength of the calendar. Tennessee was number 1 in the South Region. "I want these guys to enjoy what they're doing and it's probably not the easiest to let that happen because I'm always thinking of ways we can improve, and I want to do it now," said the Vols coach. Rick Barnes said. "I appreciate how hard they compete and the fact that they want to improve." The Men's Basketball Committee of Division I of the NCAA gives Duke the first seed on Tennessee in his initial classification. "It was 1A and 1B," said committee chairman Bernard Muir. Duke won his two games last week, defeating Boston College by 25 before winning a rematch with Virginia 81-71 on Saturday. The Blue Devils needed extra time to beat the Cavaliers in the first meeting and shot them out of the gym in the second, making 13 of 21 from the 3-point goal. "We were in our area and it's great to see when our team is like that," said R.J. of Duke. Barrett, who had 26 points and 6 for 10 in 3s. Virginia dropped a spot from No. 3 after losing to the Blue Devils. Kansas State returned to the survey this week at No. 18. Perhaps most importantly, the Wildcats are in control of the Big 12 race after defeating rivals Kansas and Baylor last week. The Wildcats (18-5) are 8-2 in Big 12, placing them 1 1/2 games ahead of the Jayhawks number 14, No. 15 Texas Tech and No. 23 Iowa State. Kansas State plays Texas and Iowa State this week. Kansas will have to make a season-ending run for the second year in a row if it's going to extend its record of conference titles to 15. The Jayhawks play against TCU and West Virginia. Gonzaga moved up one spot in the AP poll this week, was selected as the top seed in the West by the NCAA selection committee and crushed WCC's rival Saint Mary's 94-46 on Saturday. Not all was good news for the Zags last week. Gonzaga forward Killian Tillie did not play against the Gaels and is out indefinitely after suffering a torn ligament in his right foot against San Francisco on Thursday. He missed the first two months of the season due to a foot injury and has only played nine games. The No. 17 Florida State had the biggest jump in this week's poll, rising five places after beating Syracuse and Louisville, who remained No. 16 despite the loss. No. 9 Houston and No. 12 Purdue climbed three places each. The No. 22 Virginia Tech took a precipitous fall this week, dropping 11 places after the losses to Louisville and Clemson. A week after moving to the poll at number 25, Cincinnati left Memphis and lost to Houston last week.